along with students we have prepared the stage for “UVCE 5K Marathon”. 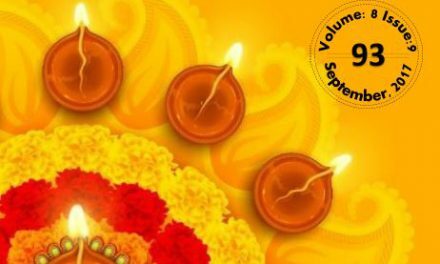 The wheels have started rolling and all the preparations are in full swing. Registrations are pouring in. 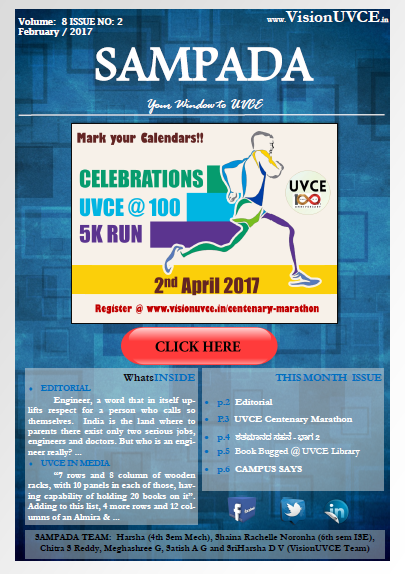 Haven’t signed up to be a part of namma UVCE Centenary Event? No worries! More details inside or you can register here. 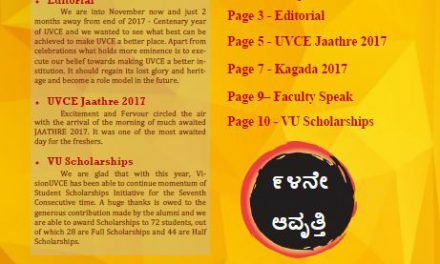 UVCE is a college where students take a lead in everything and are the spirit of the institution too! Hence its one of the best! Testimony to this is the library book arrangement done by the students and much more! 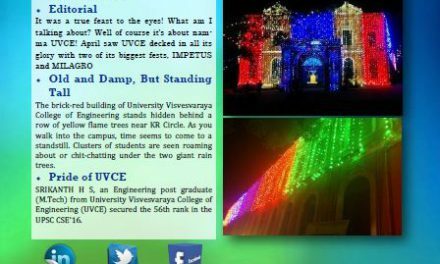 Find the detailed stories inside along with our students taking about why they are a “Proud UVCEian”.